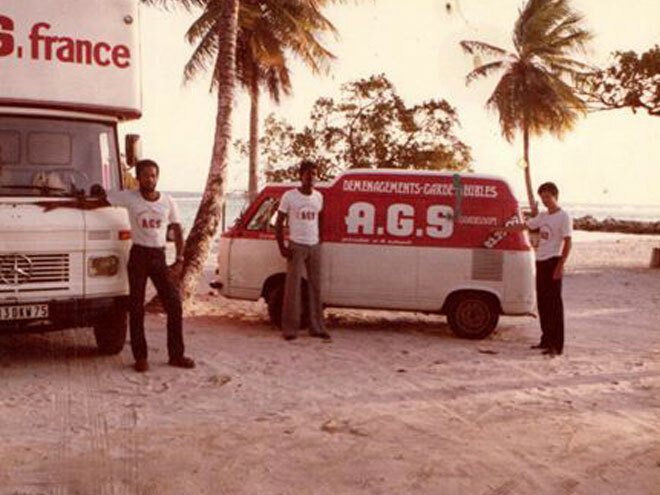 It was 1981 when Alain Taïeb, today Chairman of the Group, and Lucien Chataigne posed for the launch of the first AGS branch in the French Overseas Territories. AGS realised that the success achieved in mainland France could be replicated, so Lucien was tasked to head-up the new branch in Guadeloupe. The whole AGS Movers Guadeloupe branch only consisted of two small vans, 6 team members and a depot of 150m². But a belief in AGS and the success of the company gave Lucien confidence to enter the removal industry with enthusiasm. With support from AGS Chairman Alain Taïeb, he was determined to make the Guadeloupe branch work. AGS Guadeloupe’s journey to success was marked with hardships during the first year, but everything changed when a childhood friend informed Lucien of a local bank that was planning to relocate. Dressed for success and beaming with confidence, Alain and Lucien visited the Director of the Chase Manhattan bank and convinced him of AGS’s exceptional removal services and reputation. A few months later, AGS Guadeloupe moved a 3 story building and 150 staff members with a team of only 6. From that day on, they were the movers of choice in Guadeloupe. Since then the AGS Group has grown and is now across 94 countries in 141 locations. The company also has more than 3,500 employees and works on 75,000 moves a year. Lucien managed AGS Guadeloupe until 2007. After 26 years of dedicated service, he handed over the reins to his son, Francois Chataigne, who continues AGS’s legacy as the leader in the removals market for the French Overseas Territories. 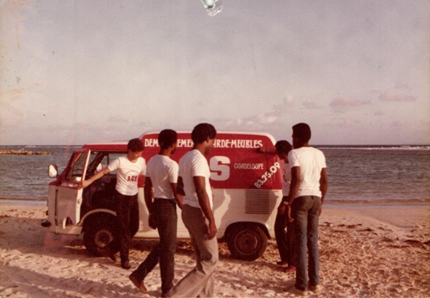 Throughout the years AGS Guadeloupe displayed business initiative, hard work and a strong will to succeed. However, the photo that was taken at the AGS launch not only wwwifies to the development of the AGS Group, but also the evolution of fashion over 30 years!